Weeks of brilliant design and hard work resulted in the absolutely breathtaking 2018 Christmas decorations at the White House this year. 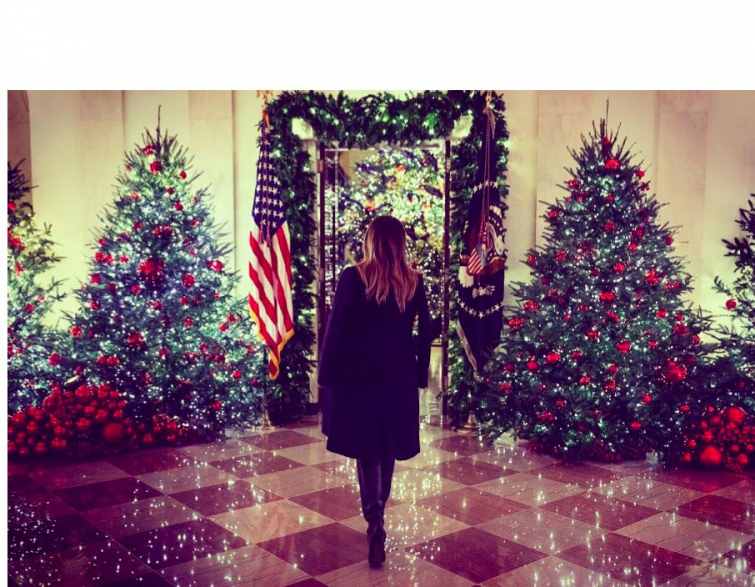 First Lady Melania Trump took the nation on a virtual tour of the end result, including their incredible Fraser fir tree, in a handful of social media posts this week. “This is a joyous time of year when we decorate the White House for the Christmas Season,” the First Lady said, according to Time Magazine, of the spirit and approach to decorating the White House for her second Christmas there. This year, Melania decked the halls with a uniquely patriotic theme, called "American Treasures", with many of the design elements used being inspired by or sourced from the 50 states, most notably the Fraser fir tree from a farm in Avery County, North Carolina. Dozens of volunteers from throughout the nation enjoyed making this year's White House Christmas a special one, hanging wreaths and boughs, and placing ornaments on the tree. Several gorgeous photos of First Lady Melania were shared, allowing us to admire the spectacular sight along with her. Throughout the month of December, President Donald Trump and Melania Trump will share the magic of the holidays with their annual White House Christmas tour, which will feature several yet-unannounced musicians, high school bands, choirs, and holiday-themed entertainers. Watch Melania's walkthrough of the sparkling White House decorations in the video below!